The best-ever snapshot of galactic jets has been taken using multiple telescopes. 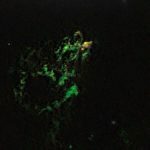 An international team has produced a highly detailed image of black hole jets in a nearby galaxy. The image, produced using radio telescopes located throughout the Southern Hemisphere, shows the particle jets erupting from a super massive black hole with a mass 55 million times that of the sun. 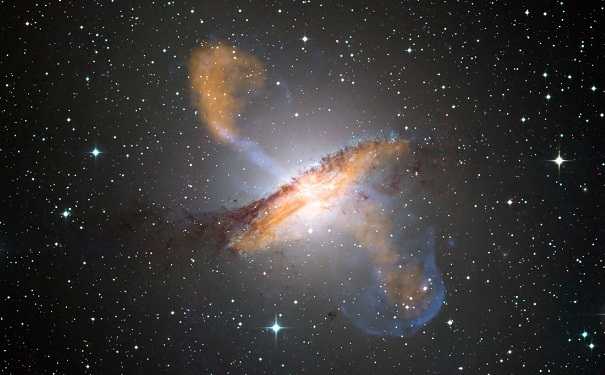 Cornelia Mueller, a doctoral student at the University of Erlangen-Nuremberg in Germany, and her team focused on the nearby galaxy Centaurus A (Cen A), approximately 12 million light years away in the constellation Centaurus. 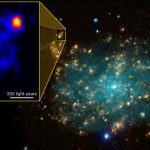 Using an array of nine telescopes, the researchers from the Tracking Active Galactic Nuclei with Austral Milliarcsecond Interferometry (TANAMI) project were able to zoom in and take a detailed image of the galaxy. Cen A is located between two giant radio-emitting lobes, causing it to appear as one of the brightest objects in the sky (when seen via radio waves). Both of these lobes are nearly a million light years in length and are fed by matter streaming from the particle jets near the super massive black hole at the centre of the galaxy.